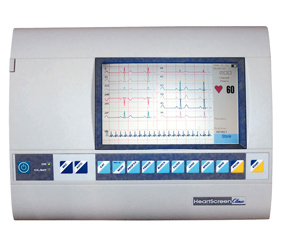 “We bought the HeartScreen 80 GL and 112D ECG machines, which we have found to be excellent as they are very reliable and produce extremely accurate results." 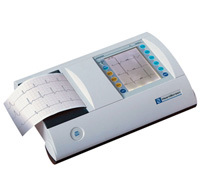 MediSafe supplies the HeartScreen range of Interpretive 12 Lead PC linked ECG machines - the only conventional ECG machines that offer live real-time monitoring directly onto the PC. 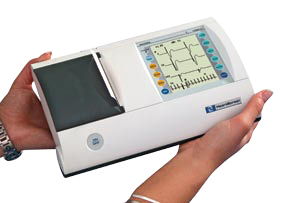 The most portable and versatile ECG machine ideal for General Practice. With full 12 lead display.